did you make your list and check it twice? holiday shopping idea list # 3 – last minute! It seems like the fall semester just started at work and here we are just two days away from Christmas! Our work holiday party was last week and there was an ugly sweater contest. 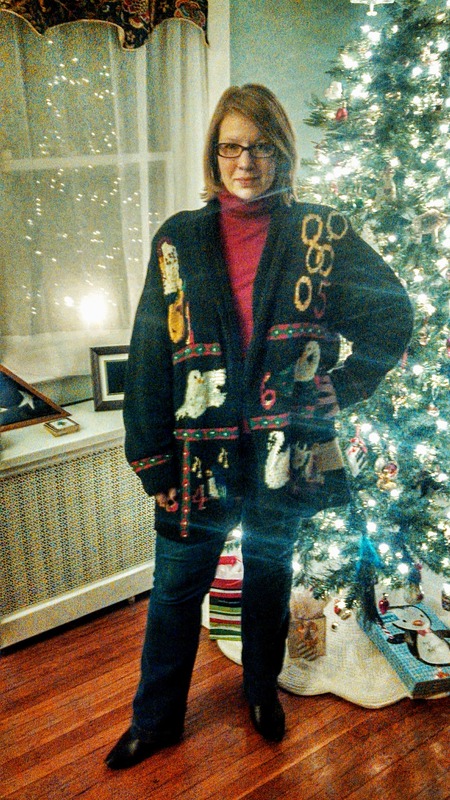 Now, my mom was a little insulted because I asked to borrow one of her sweaters. But it paid off, because not only did I win, but the price was a $25 gift card – sweet! Mom keeps insisting that I have to give it to her so we’ll see. But she really shouldn’t be insulted. The reason I won was my sweater was the most over the top, not the ugliest. You see, it’s the gifts of the 12 Days of Christmas. It goes onto the back, too, but even the Man’s cell phone couldn’t take its gloriousness – the sparkle and shine was just too much for it. 1. seeJanework.com – organization is an art, and some of us love it (and like it to be pretty too) 2. ThinkGeek.com – for the inner nerd who loves flying their nerd flag 3. catsplay.com – anyone who loves to spoil their cats can find something here 4. TheGrommet.com – always something new, unusual, and fun that you won’t find elsewhere 5. 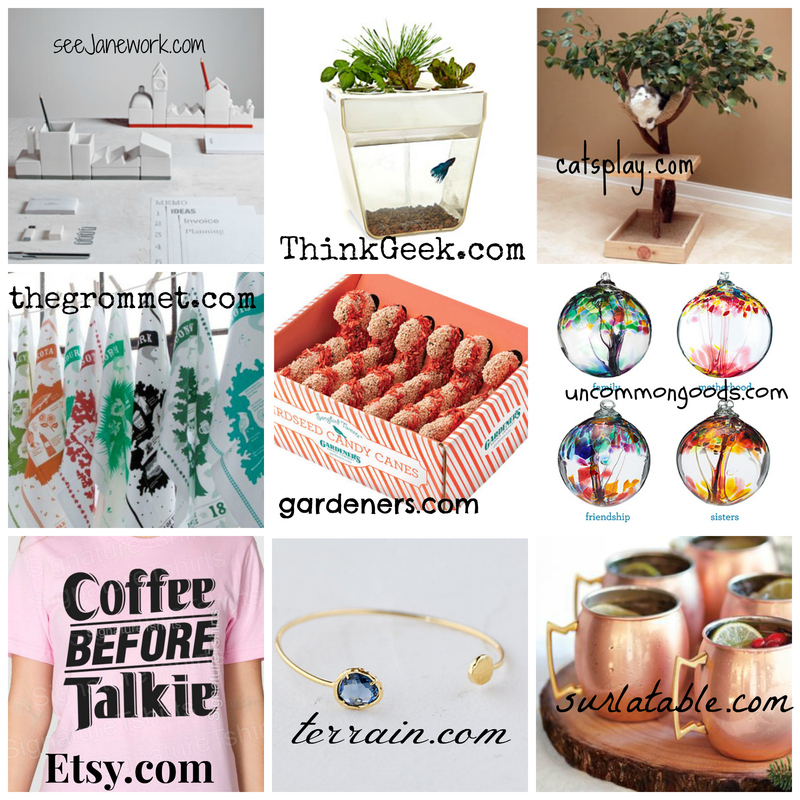 Gardeners.com – the gardener or outdoor entertainer in your life will thank you 6. uncommongoods.com – perfect for the person who enjoys whimsy 7. Etsy.com – need I say more? Support the little guys. 8. shopterrain.com – has a little bit of everything. Pricey, but a nice indulgence. 9. surlatable.com – is perfect for the foodie or cook in your life. Enjoy your last minute shopping! Previous postfeline friday gets vacation!